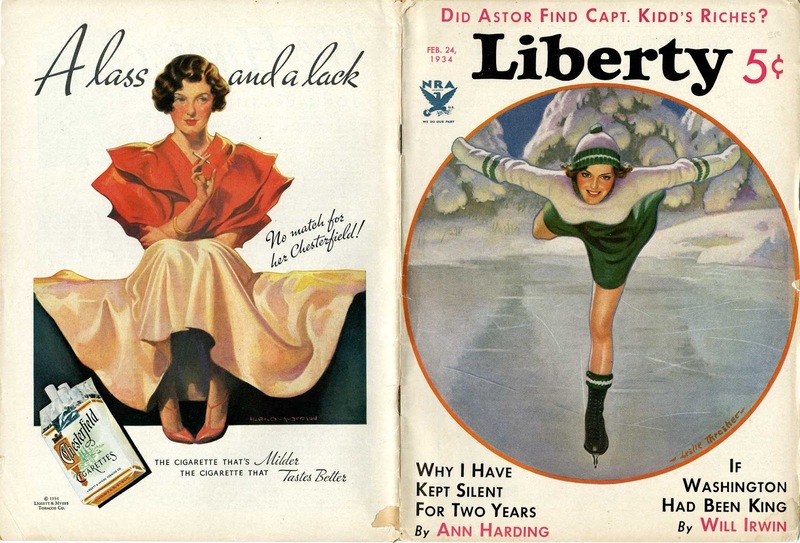 Now, browsing through old magazines will more often than not result in a surprise or two. 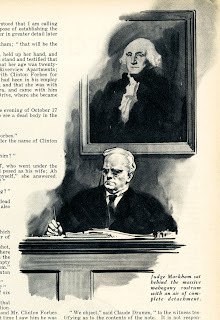 As the case of the Hubert Mathieu illustration in the previous post. 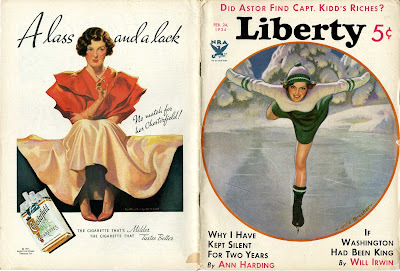 I originally picked up that issue of Liberty on eBay because of the striking cover. 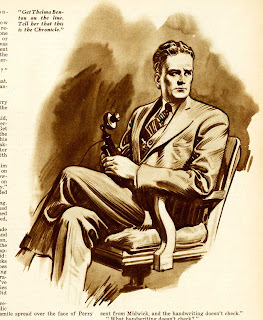 The second surprise in that issue was three Frank Godwin illustrations. 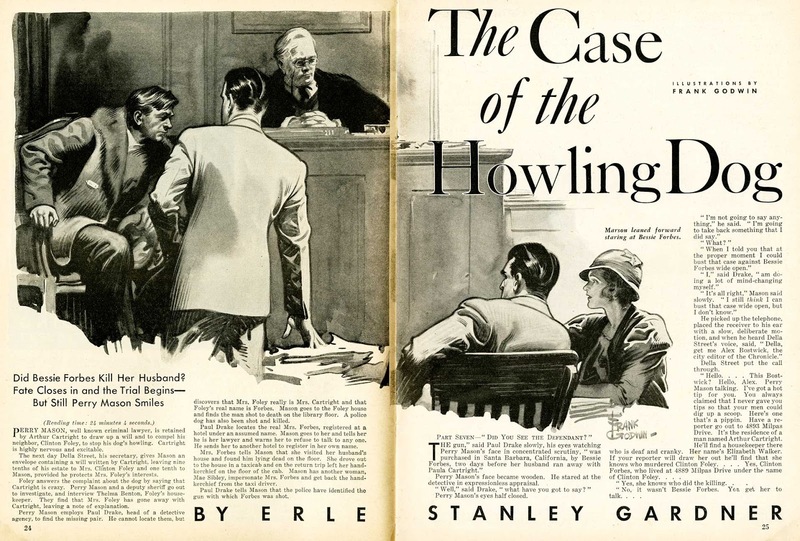 They illustrated the seventh part of Erle Stanley Garner's Perry Mason story "The Case of the Howling Dog". And here they are. Enjoy! ... and nobody decides to publish a book about Godwin! Let's hope someone will. But I guess it would take a long time and lots of $$$ to find and restore the artwork. 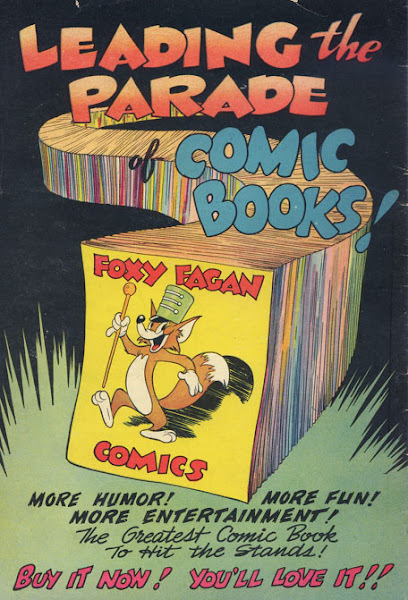 On the other hand maybe his family still have stuff in their posession that would make such book fairly "easy" to produce.